Morocco have only participated in the Eurovision Song Contest once. That was in 1980 in Den Haag, The Netherlands, which marked the first time both an Arab nation and an African nation had participated in the Contest, as well as the first time a song had been performed in the Arabic language. A number of North African nations are eligible to participate due to being within the European Broadcasting Area as set by the EBU. The song they sent was “Bitaqat Hob”, as performed by Samira Bensaïd, a famous Moroccan singer. It finished second-last in the contest (only Finland fared worse), with all their 7 points coming from Italy. 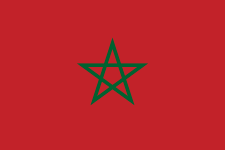 The following year Morocco withdrew from the contest and have not returned since. Any chance of them coming back? There have been rumours that another Moroccan broadcaster, 2M TV, have expressed interest in EBU membership and currently have an application pending, which would enable them the option of participating in the Eurovision Song Contest should a full membership be granted.